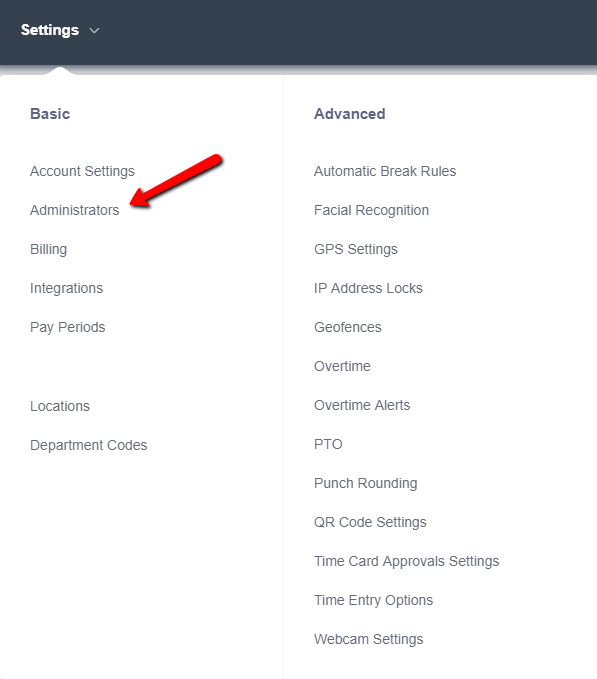 Administrators can be added from the settings menu. Go to Settings --> Administrators (note that they have to be a user to be able to add them as an admin, so if you're adding someone new make sure to add them as an employee first) to specify as many admins as you need to. Note that an administrator cannot punch in or out, however administrators do not count against your user total for billing purposes.